When you show off multiple cannabis tincture bottles at once, it reveals your entire product line to your customers at a glance. The result? Rather than walking past, customers now linger in hopes they can find a tincture personalized to their needs…and lingering means buying! Our clients love our low prices, free design services, and commitment to creating simply irresistible packaging for their tinctures. 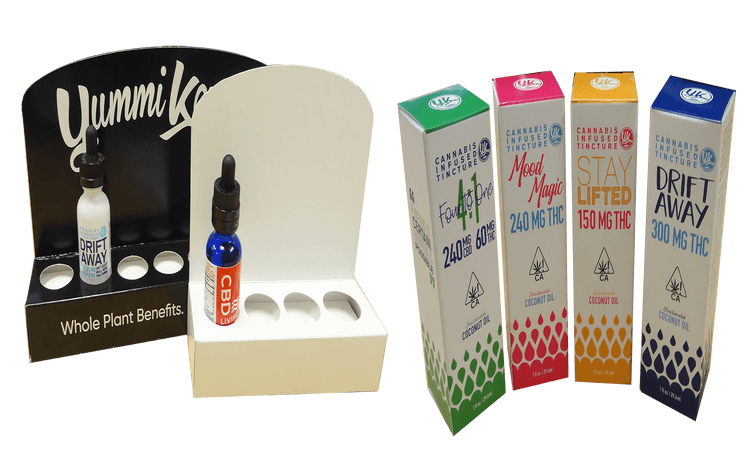 If you’re in the business and looking for attractive display boxes custom-made to your tinctures and brand image, we hope you’ll consider Business Image Printing! Place your order today!